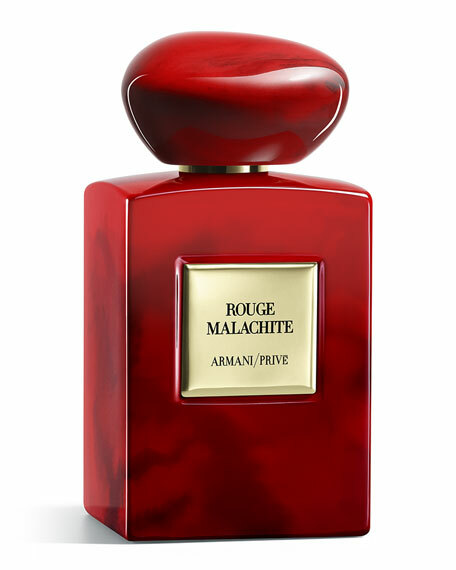 Introducing the newest Privé Collection, "Les Voyages." A tribute to the countries and cultures that have inspired Mr. Armani. 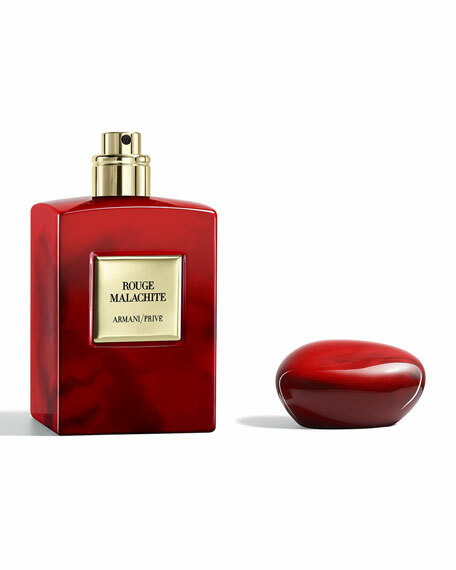 Warm and powerful, yet fragile; the Red Malachite is a creation from Mr. Armani, inspired by Russian culture. 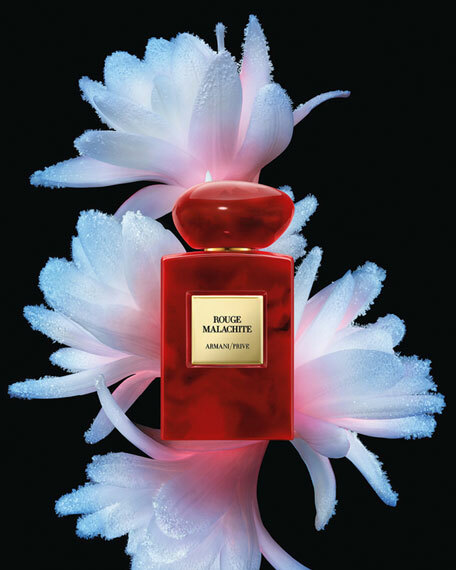 The singular meeting of an opulent, voluptuous and carnal Tuberose and a wild Sage along with the surprising vibration of AmberXtreme. 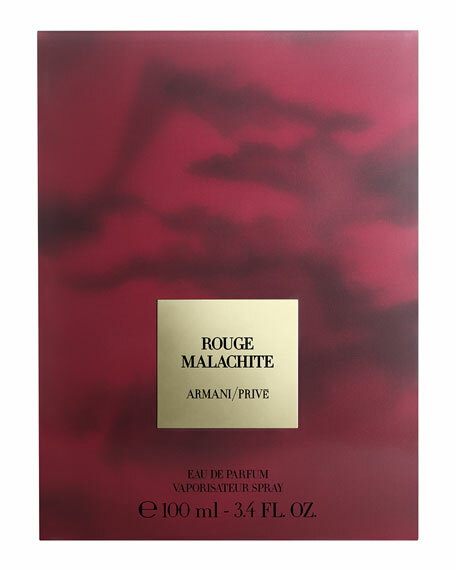 A crimson bouquet of obsessive white flowers: sweet and heady, radiant and dark.